Thank you for visiting the web site of Jonathan Ogley, Spanish Property Law. I have been a UK qualified and based practising lawyer for nearly 40 years. 13 years ago I started my own firm specialising exclusively in Spanish property law related matters matters. I live in and work from the UK and I am regulated by my UK professional body. I act for clients throughout the UK. Distance is no object because we can deal with your matter easily by phone, e-mail etc. I have substantial practical experience having acted for many hundreds of clients on matters such as Spanish Inheritance of assets/Probate, Spanish Powers of Attorneys, making Spanish Wills and the conveyancing of sales and purchases and of Transfer of Property shares. I am entirely independent from commercial organisations in Spain. I am one of a very few British lawyers in the UK who specialise exclusively in such Spanish work and speak Spanish. The best interests of my clients are paramount. I appreciate that clients can be anxious about foreign laws and procedures and my job is to relieve you of such concerns wherever I can. I am the principal of the firm and you will always deal with just me. I strive to always give a professional, careful and practical service. If you decide to instruct me to help you, I will provide you with an estimate of full costs information (including, any Spanish taxes) as soon as practicable,. I will be very pleased to speak with you by telephone or by e-mail for an introductory discussion, free of charge. My contact details are on this page. I now describe the types of Spanish matters I will be delighted to help you with. This involves the transferring or release of Spanish assets (money and property) to those persons entitled to receive same after the owner’s death. The often complex procedures involved and any Spanish taxes payable are very different under Spanish law, to those of UK law. If you instruct me, I will give you my concise Overview Guide which will give you a good idea of what is involved and what I will be doing for you. My objective is to take the strain and emotions of such sensitive matters, from your shoulders, on to mine and achieve the intended result. These are documents that I frequently prepare for clients, whether for Spanish Inheritance, Transfers of Shares, selling/buying properties, or for Court proceedings. These are such useful and cost saving documents. A Spanish Power of Attorney (“PoA”) is a document which I prepare in Spanish and English for you and I deal with all the arrangements, for you to sign it in front of a Notary Public in your locality. The document provides legal authority to people you trust (often a Spanish lawyer and myself) to undertake a whole raft of procedures for you, including signing legal documents on your behalf in Spain, without you having to go to Spain personally each time to try to sort out such practical matters. If you instruct me to prepare and arrange a Spanish Power of Attorney (a “PoA”), I will be pleased to send you my Overview Guide on what is involved and which describes all the benefits of such a document. 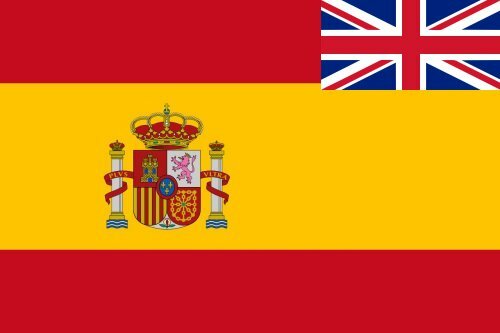 Spanish Wills can easily be made in the UK and I have done a large number of them for my clients over many years. Even if you have made a UK Will, I strongly recommend that you also make a professionally drafted Spanish Will which deals just with your Spanish assets. A professionally drafted Spanish Will achieves your peace of mind and the certainty of your beneficiaries actually getting what you want them to have, irrespective of different Spanish law. This is particularly important following the Brexit decision. If you instruct me to prepare a Spanish Will, I will send you my Overview Guide on that topic, which will assist you as to what is involved (and the relative costs) and why you should make one. I have acted for hundreds of clients who have bought or sold properties in Spain or who have entered into Rental Tenancy Agreements. The laws and procedures in Spain are very different from those in the UK and we have all seen what happens when people have problems after buying or selling Spanish properties, without having taken the simple precaution of instructing an independent, experienced lawyer to act for them in the conveyancing – something they would not dream of not doing if they were buying or selling in the UK! A few pounds or Euros saved by not using a lawyer, is potentially a very risky strategy. Instructing an experienced diligent and careful lawyer will help to avoid that risk. This can happen for a variety of reasons, for example on divorce or a decision by one part owner who wishes to leave. I have wide, practical experience of dealing with such matters. The procedures and taxes involved are those required by Spanish law and are not the same as the relatively straightforward process in the UK. I can help you with all that is required. If you instruct me to act for you, I will send you my Overview Guide, which will simplify what is involved and explain the costs and taxes which will be payable. This web site is not the place for me to indulge in an ego trip, so the host of compliments I have received over the years, for going the extra mile for clients, will not be repeated here. My reward is to have done a good and professional job for a completely satisfied client, whether recommended to me by solicitors, accountants, past clients or via a Google search. The effort made is the same. I hope I may have the privilege of assisting you too. If you would like to know more, please do contact me.